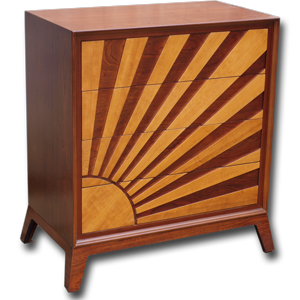 Super-stylish sunrise chest in mahogany with cherry wood highlights, we love it! 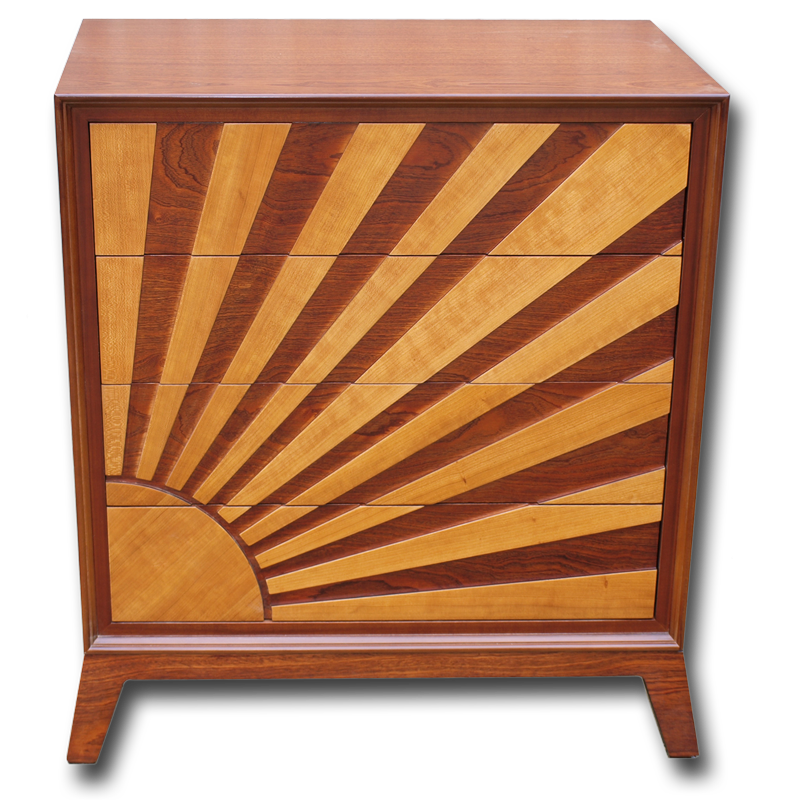 Made in our own workshops, this chest was an idea that had been bubbling away in the mind of our head maker and we finally found the time to make it a reality! 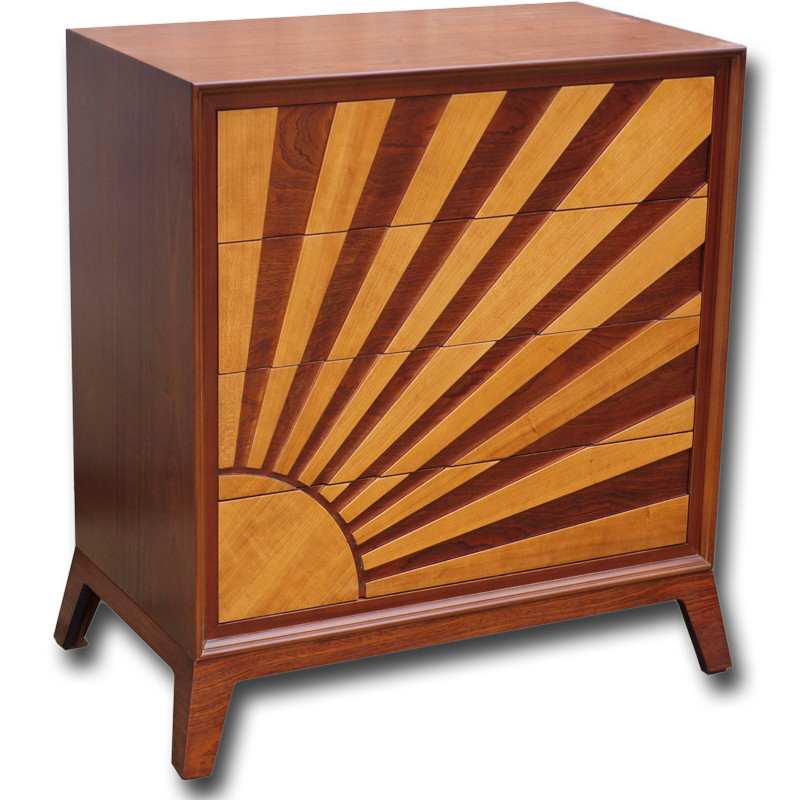 With flavours from furniture designs through the last 100 years, the overall effect is a stunning mix of classic and contemporary and features four dove-tailed drawers that spring open with a gentle push. 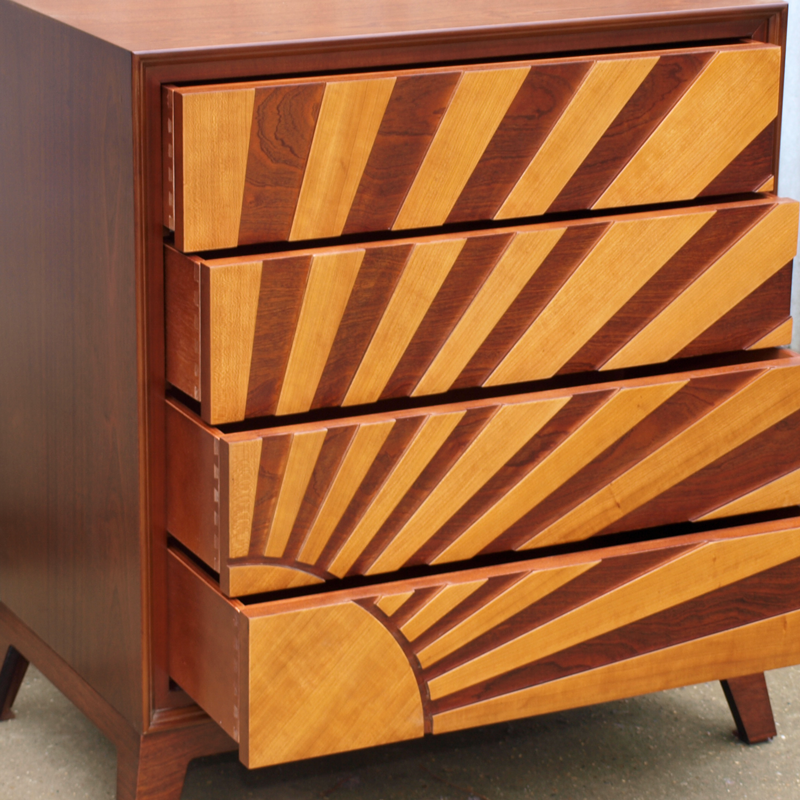 This chest is now for sale online and in our shop and we would welcome any commisions based on this design, we could make simple changes in dimension or wood variety or work towards something new - a sideboard in this design would look amazing....!